Occasionally, older pups and adults are available from ASH'S MYSTICAL POODLES to approved homes. 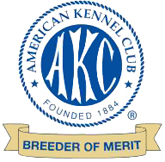 These dogs have up to date shots, are groomed, AKC registered and micro-chipped. We do require that you spay/neuter, if not previously done.